Putting off recommended recurrent oil changes has the potential to greatly affect the operational efficiency and dependability of your Nissan (or a different automaker) vehicle. Luckily, you can avoid the multiple downsides of falling behind on general oil changes and engine care by making Universal Nissan your number-one source for this type of essential automotive maintenance. 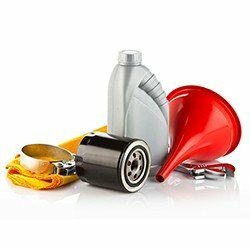 Because of our proficient crew of mechanics working hard to deliver unsurpassed results on a daily basis, it is easier than ever to replace the oil in your engine for better performance. Universal Nissan stands ready to ensure each job, ranging from a simple oil change that minimizes how long you are not out cruising on the streets of Orlando to more exhaustive service for your everyday car, is finished in the right manner and at prices the majority of people can afford, as well as consider fair. Once you add up everything mentioned above, the only action left to take is reaching out to our service department at (407) 926-7003 today. We will gladly help steer you on the correct path to handling your auto maintenance needs quickly.